About Ozaru, well he is most famous in Bujinkan for travelling around the world with Hatsumi Soke for many years as his translator for Taikai in the 90’s up until the last Taikai in 2003. 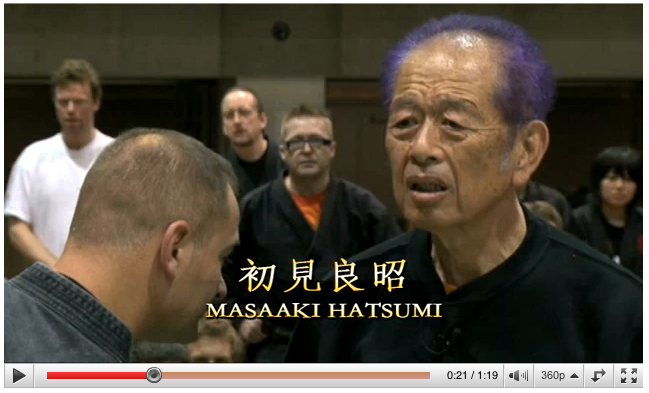 He also translated the Bujinkan Densho Sanmyaku, more about him at his web site. I’m naturally hoping to raise more than last year, and have enlisted the help of several friends. So far the team stands at 5, but there is still time to join us. It really is great fun, and despite what I said above, not too arduous — have a look at www.gorillas.org/greatgorillarun for details, and www.rungorillarun.com/sponsorme.html for a cool Flash video. If you’re unable to take part yourself, we’d all be very grateful for your sponsorship. It’s in a very good cause, as TGO not only works to save great apes in great danger, it also works to promote ecologically sustainable development in the surrounding communities. The easiest way to sponsor us is by credit or debit card via www.justgiving.com/ozaru2006, as this also makes it simpler for the charity to reclaim Gift Aid from the taxman. Companies can even account for their donations as publicity expenses (you’re welcome to include a link to your website in your comments on the page). If you don’t have a credit/debit card or can’t donate via the website for some other reason, let me know as there are plenty of other methods. Otherwise, I hope you’re all well, and look forward to hearing your latest news soon. We now have over 100 people signed up for this years Taikai. Many people from different countries, most notably is Czech Republic with 16 people and Finland with 15 people, the rest is spread evenly between 10 other countries. Unfortunately Sveneric and Mariette can not come this year. Mariette had to remove one of her upper ribs 10 years ago. Over the years her shoulder have dropped down and caused impaired moveability and pain. And now she is going to do surgery to fix it. Both Sveneric and Mariette would have loved to come, but they can’t. We already invited them for next year and they have gladly accepted. I know some of you will be disappointed but that is life. Shizen is also this years theme, things change naturally and we have to adopt to the changes naturally and do the best we can without looking back of what could have been. It will be a great Taikai regardless. We still have many other good instructors that will come. Maybe we will add more instructors or increase the remaining instructors teaching time. However this will not affect the overall training quality or amount of training opportunity! Jodan-uke, this very simple basic technique is really easy, right? 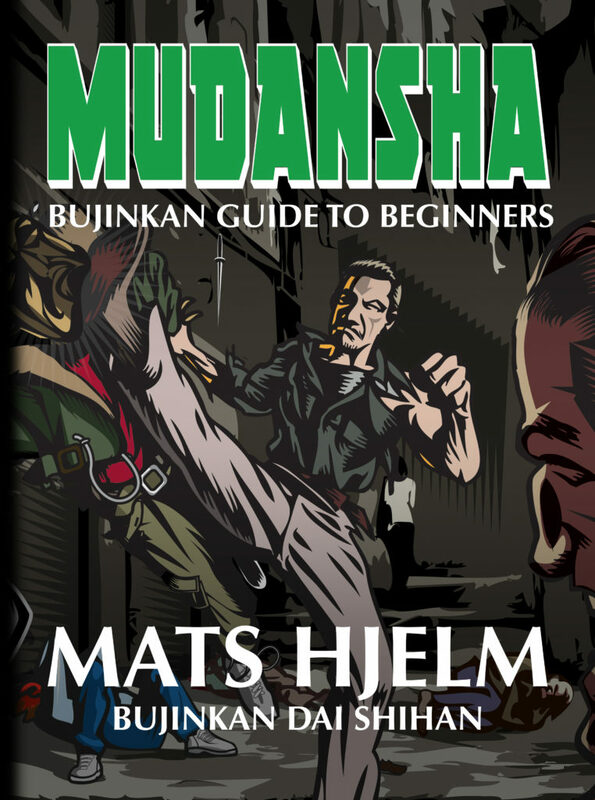 Most beginners in Bujinkan learn how to step to the side from a punch to the nose and do the circular movement with the arm and knock the opponents arm to the side and take his balance. Then you just step in and finish him off with a kiten-ken to the neck. This is one of the first techniques you learn in Bujinkan, the technique is called Ichimonji and it is from the Kihon-happo. 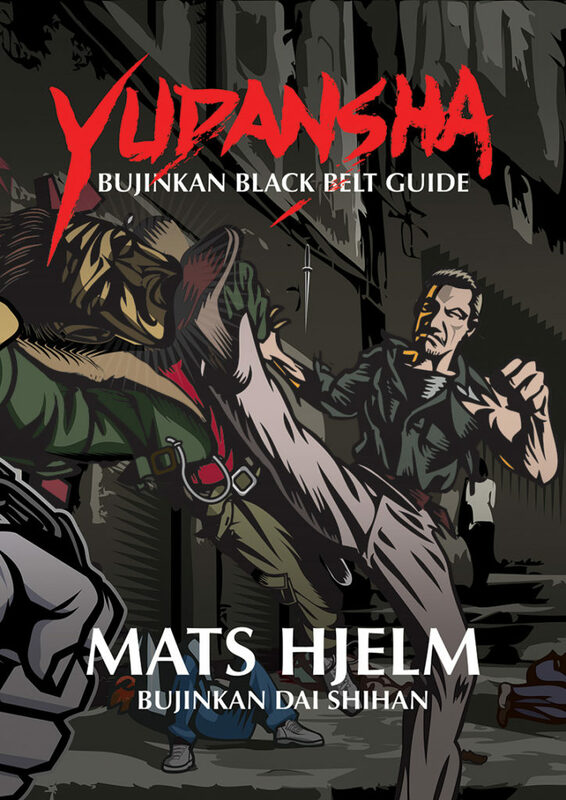 But the basic way of blocking can be found in many, many techniques in Bujinkan. Last year or was it the year before I saw one of the Shihan in Japan doing blocking in honbu dojo as a warm up before the training. I noticed he did it kind of different than I’ve seen it before so I put it away for the future. And then maybe 4-5 months ago I started experimenting on this idea, but only a little and then I forgot it again. I didn’t think it was that important. Then I picked it up again last week and practiced some more, I also started to introduce it to my students a little (without to much explaining). Then at the training yesterday I was testing the students Sanshin no kata and Kihon happo, I didn’t say anything, I was not happy. And sorry to say I got a little pissed off to (some of the students must have noticed). So I had to do something about it, we had to go back to the basics, the very very basic way of blocking without opening yourself up, without loosing the kamae. This might sound easy, and maybe it is. This might sound strange, but after almost 25 years since I did this “simple” movement the first time and all the following years hard work it struck me… that the way I have done this simple movement for years and years until yesterday was really quite crappy! I had just discovered a “new way” of doing the very basic Jodan-uke, it felt so right and I was so happy coming to this insight. I’m sure I haven’t discovered anything new, someone have probably done this “new way of blocking” for a long time, well actually I said before I saw it in honbu so it can’t be new, but it is new for me. I realize it must be quite discouraging for a beginner in the Bujinkan to hear someone that have been training so long just discover something so simple after 25 years of training. 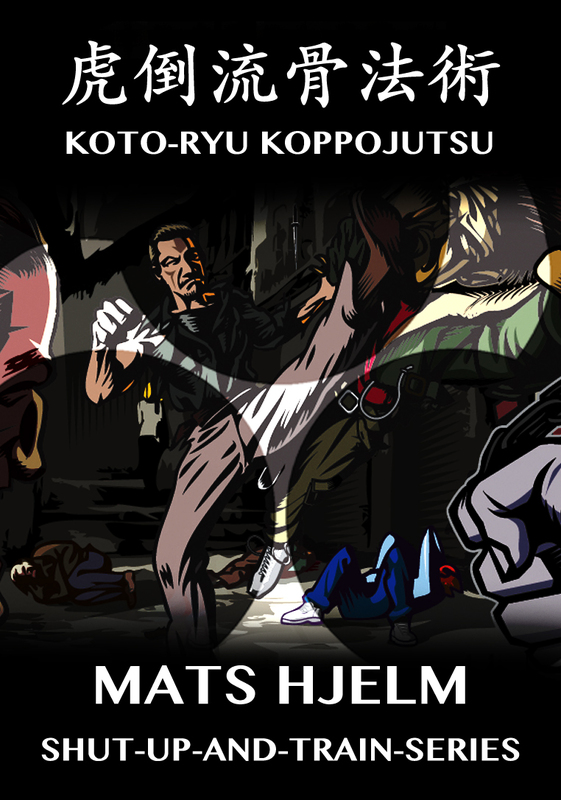 It really takes special persons to stick with a Martial Art like Bujinkan Budo Taijutsu. This might be why so many people quit training after 5 or 10 years, they are not that kind of person that have the patience that is required. I think you can learn BBT in 5-10 years and have a very basic and good understanding of the art, but if you keep searching you will find more. Soke once was asked what the highest level was, and he said he didn’t know, because there is always something after the highest level. It’s not necessarily a higher level, but it is another level you have to pass to get to the next level. For example if you think there is something that is perfect it isn’t really, it can always be refined and even more perfect, but there is nothing that is perfect, there is always the next level. My point is never give up and think you know the perfect way of doing even the most simple basic technique, you can always polish your techniques (Masai) to become better. Sorry for the spin off! 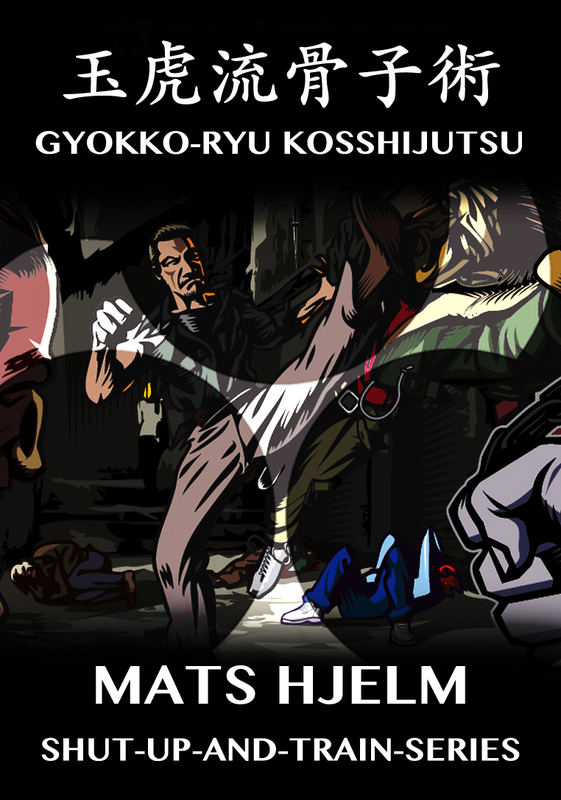 Another thing that may contribute to my recent discovery is after a discussion last month after training in honbu. I went out with some local friends that have trained Bujinkan for a very long time, but they have also trained other koryu sword arts. One of them said something really interesting things about limbs of the arm going in separate directions when drawing the sword. That in combination with the jodan uke became a very different feeling, and it is that which makes this (jodan-uke) so special I think. Yesterday we spent some time on the fifth* technique, the omote ken sabaki technique, some call it omotegyaku tsuki, the name is not important. But it was when I demonstrated this technique that I realized I found something important. When I just wrote fifth technique above I remember I asked one of the students to pick a number between 3 and 8, he picked 4, so this was the kihon happo we would spend time on. But I meant a number between 4 and 8, I did not intend to spend time on Juumonji because we had already done enough jumonji for this training. But the number 4 is just the omotegyaku without the punch. So if I would have picked number 4 I would not have made this discovery and this article would not have been written. When things like this happens I strongly feel there is someone/something guiding me. I’ve been struggling with how to end this article, but I think I can say that I have just explained why I still keep practicing BBT. I do get “intellectual rewards” like this quite often, maybe this was one of the biggest in a long time, but it is things like this that makes me keep going.